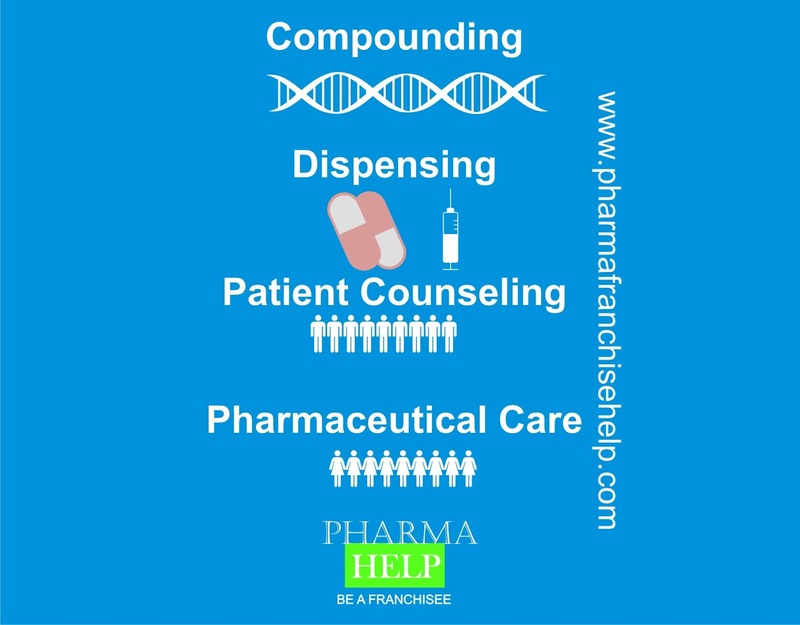 Compounding is the the preparation, mixing, assembling, packing or labeling of a drug or device against prescription of a Registered Medical Practitioner for catering special need of a patient in Pharmacy by a Registered Pharmacist or/and for the purpose of research, manufacturing, teaching, clinical trial or chemical analysis including drug analysis and not for sale or dispensing. Dispensing is the interpretation, evaluation, supply and implementation of a prescription, drug order, including the preparation and delivery of a drug or device to a patient or patient’s caretaker in a suitable container appropriately labeled for subsequent administration to, or use by, a patient by a Registered Pharmacist against prescription of a Registered Medical Practitioner. Patient counseling is the oral communication by the pharmacist of information to the patient or caregiver, in order to ensure proper use of drugs and devices. Pharmaceutical care is the provision of drug therapy and other patient care services intended to achieve outcomes related to the care or prevention of a disease, elimination or reduction of a patient’s symptoms, or arresting or slowing of a disease process, as defined by the Pharmacy Council of India.